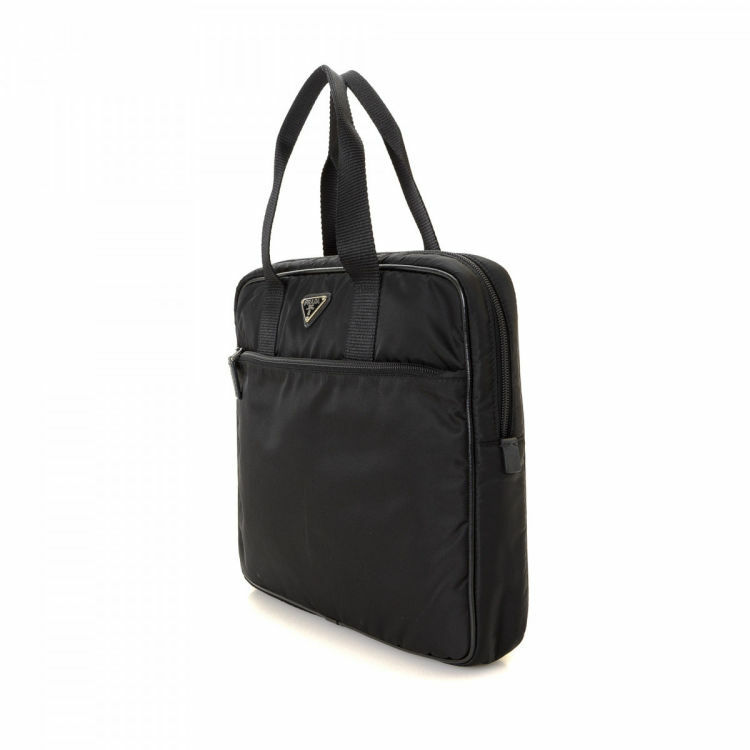 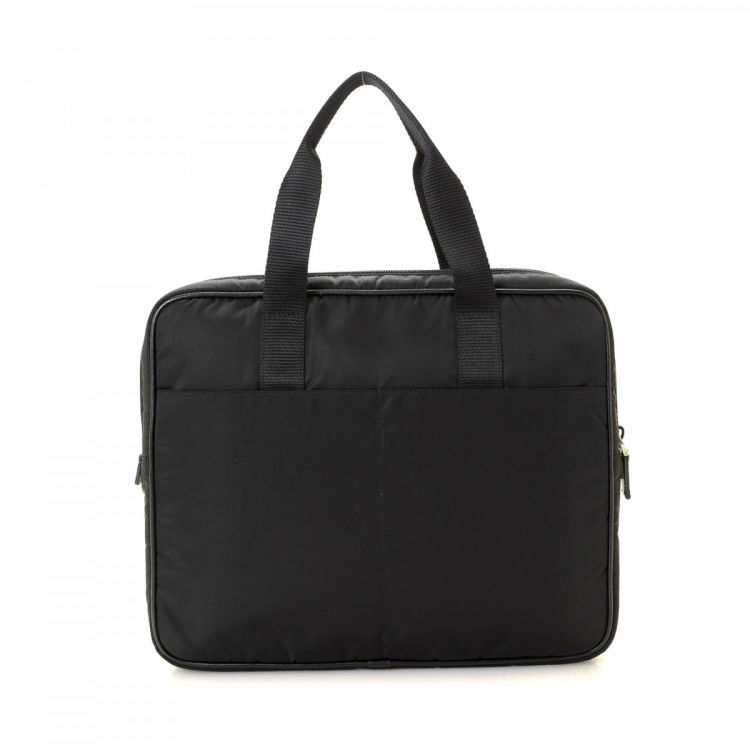 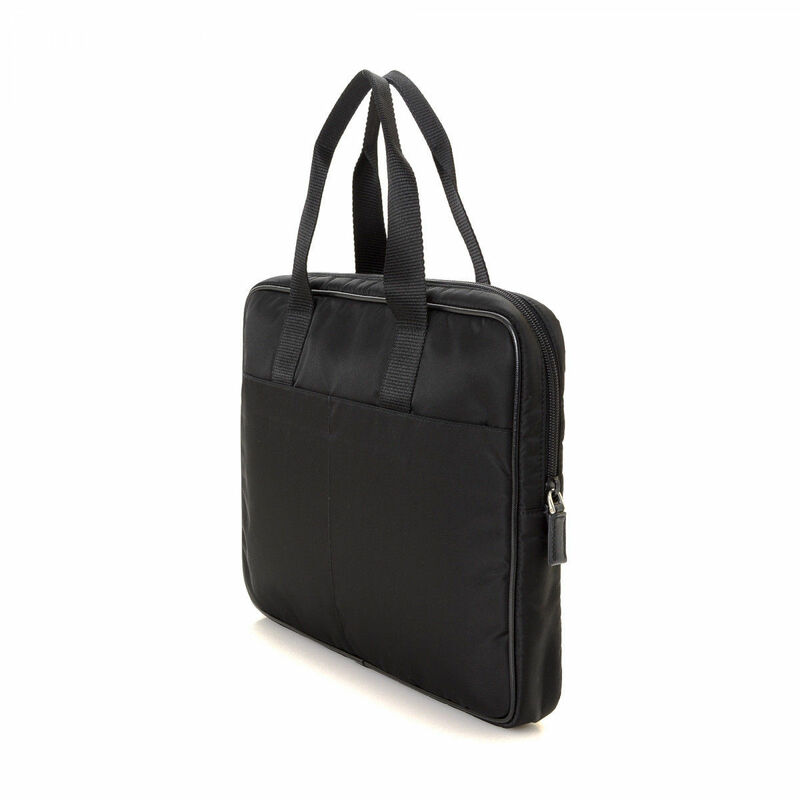 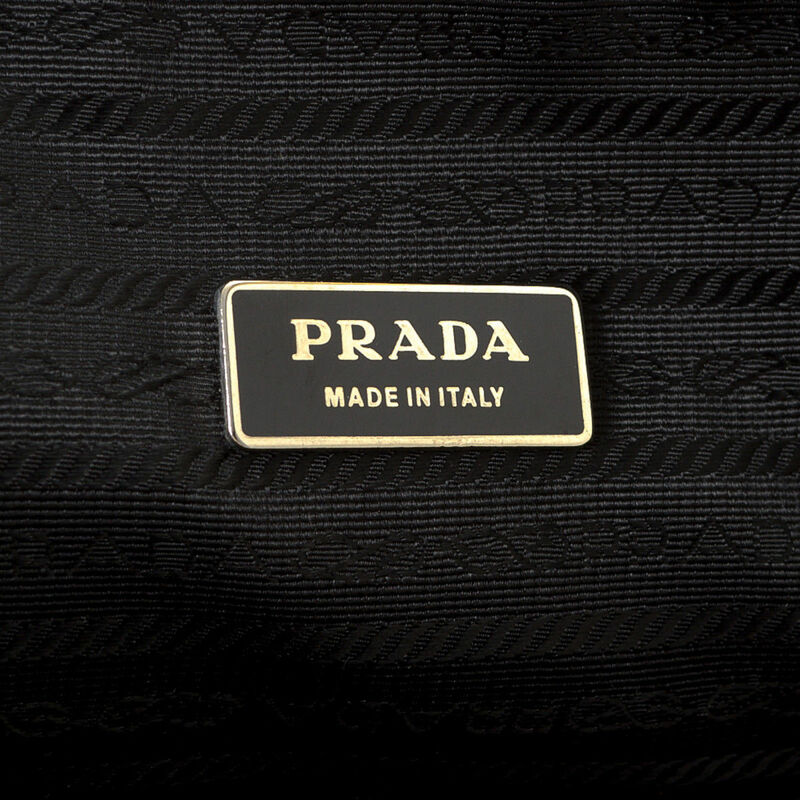 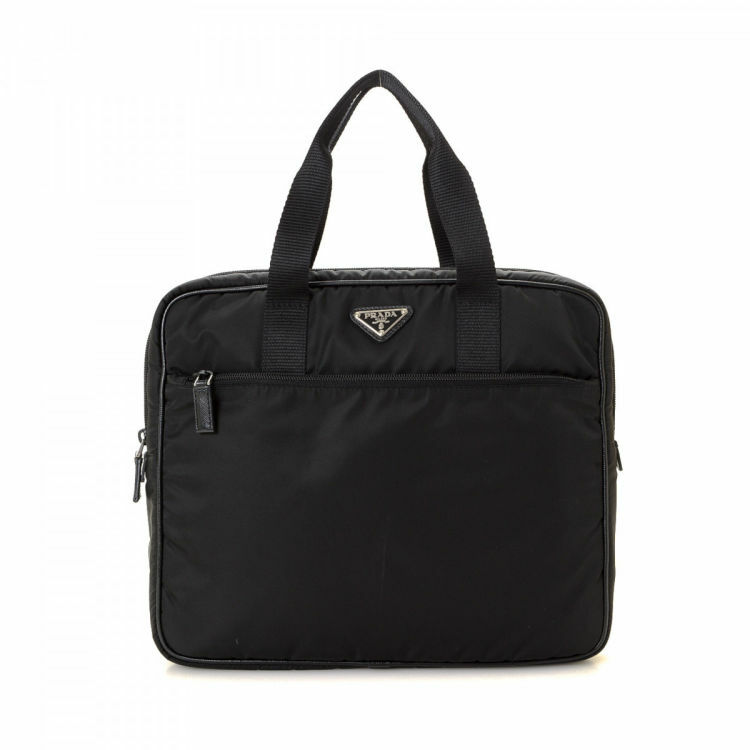 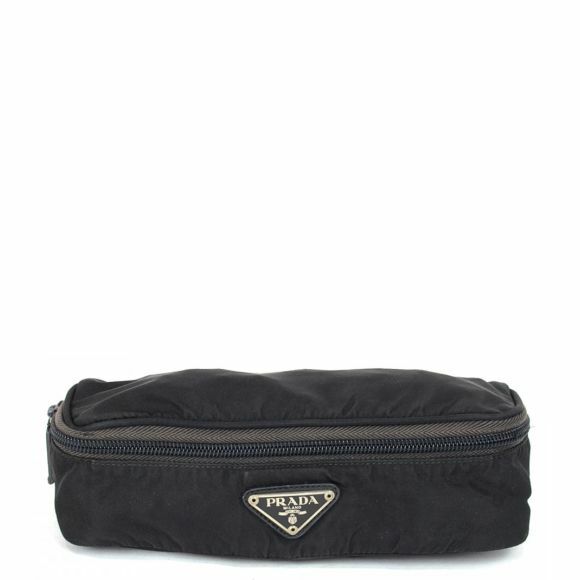 The authenticity of this vintage Prada Laptop Bag handbag is guaranteed by LXRandCo. 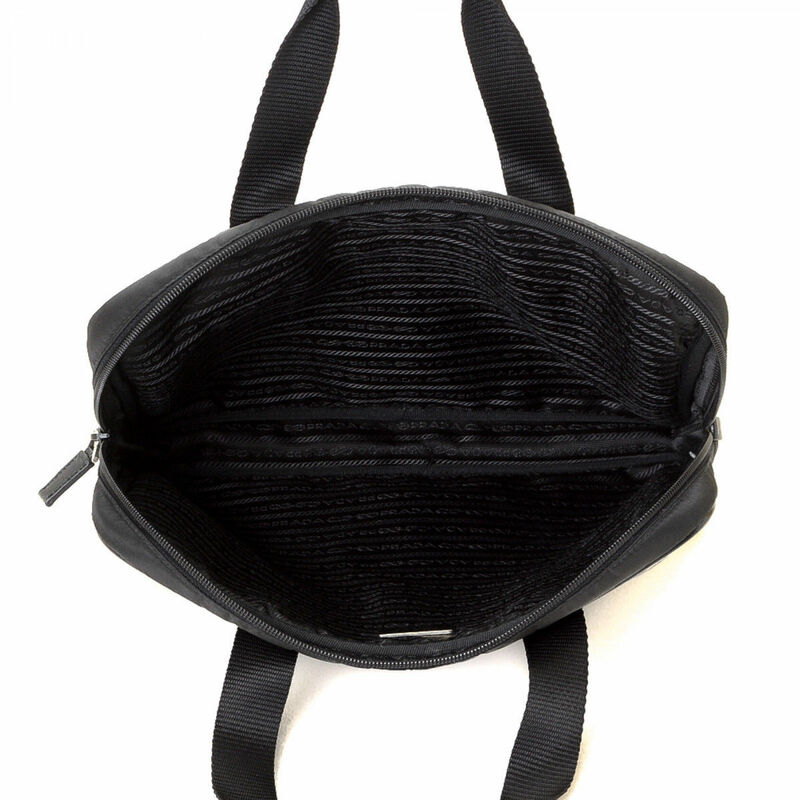 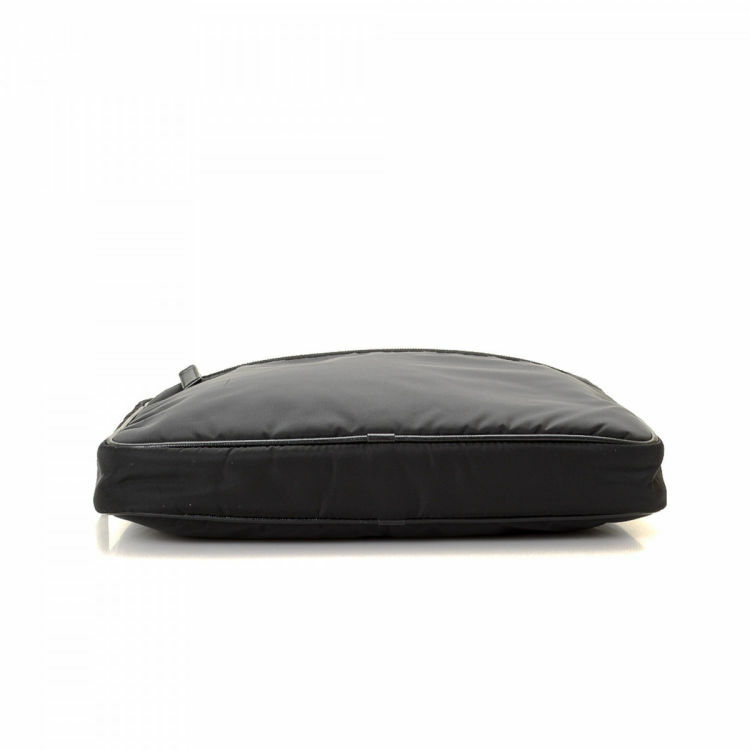 This iconic handbag in black is made in tessuto nylon. 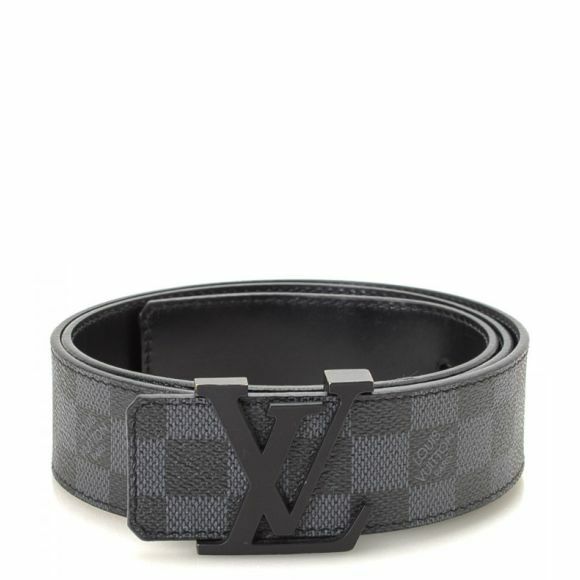 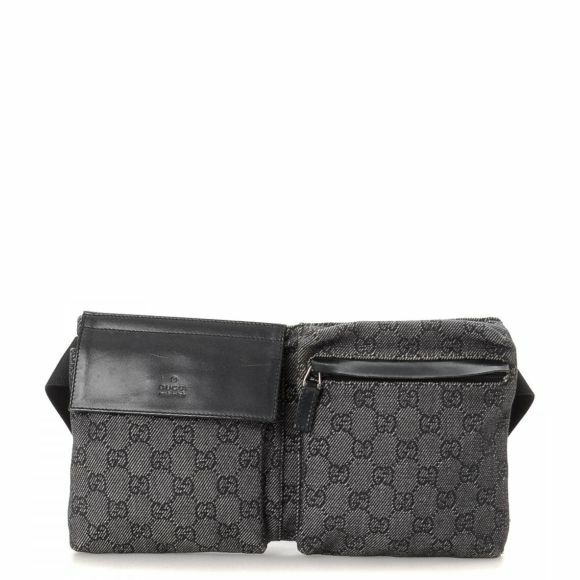 Due to the vintage nature of this product, there are scuff marks on the piping, and minor discoloration on the surface. 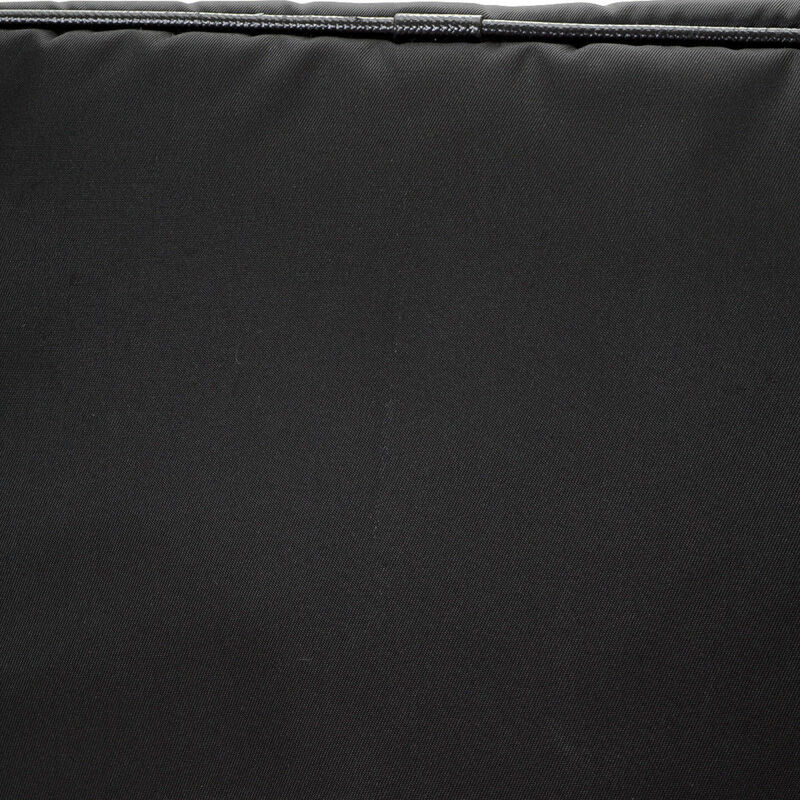 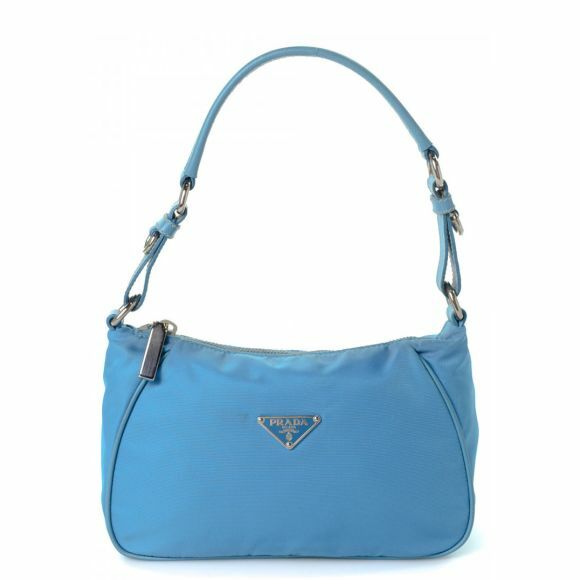 Description The authenticity of this vintage Prada Laptop Bag handbag is guaranteed by LXRandCo. 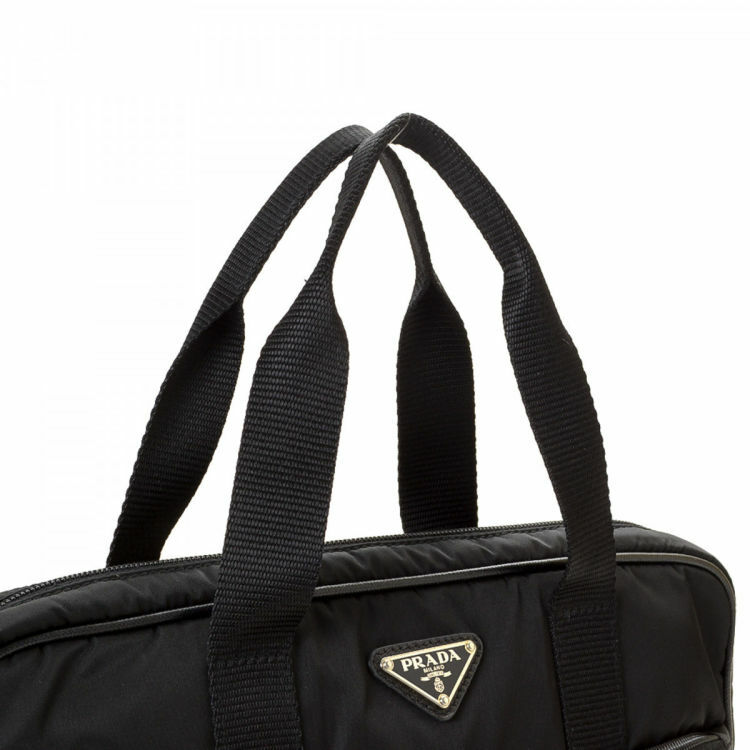 This iconic handbag in black is made in tessuto nylon. 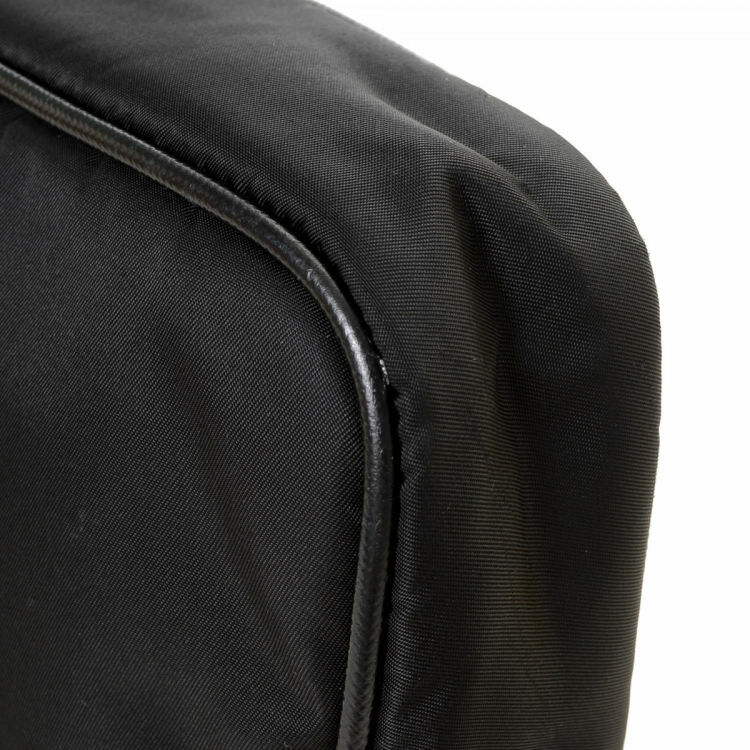 Due to the vintage nature of this product, there are scuff marks on the piping, and minor discoloration on the surface.